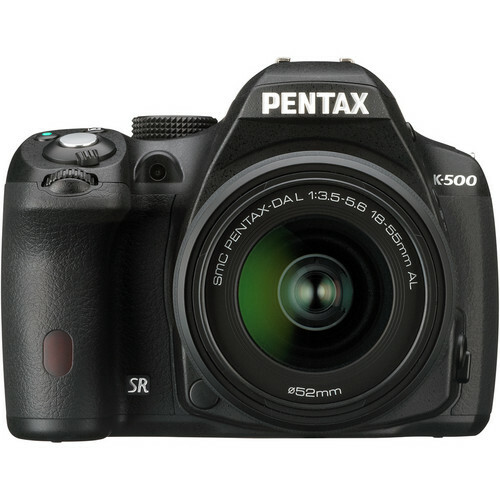 The Pentax K-500 Digital SLR Camera inherits most of the specs of Pentax K-50, but the Weather sealing. 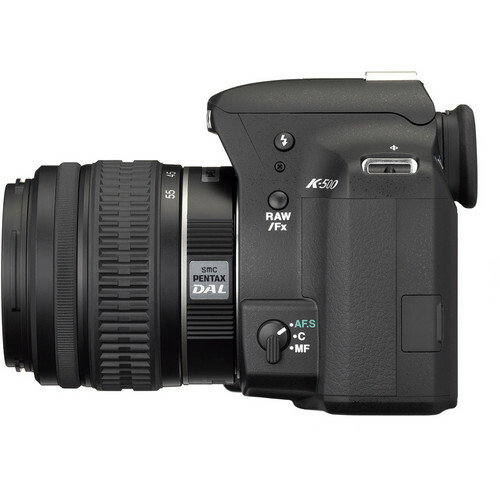 It features a 16.3 megapixel APS-C-sized CMOS sensor and PRIME M image processing engine to deliver quality imagery & fast performance. A high sensitivity level of ISO 51200, full-res continuous shooting rate of 6 fps, and rendering both stills and videos achieved with the help of these two technologies. Full HD 1080p video recording is supported up to 30 fps as well as HD 720p recording up to 60 fps. Video files are recorded in H.264 AVC/MPEG-4 codec and saved as .MOV files for easy sharing and editing. 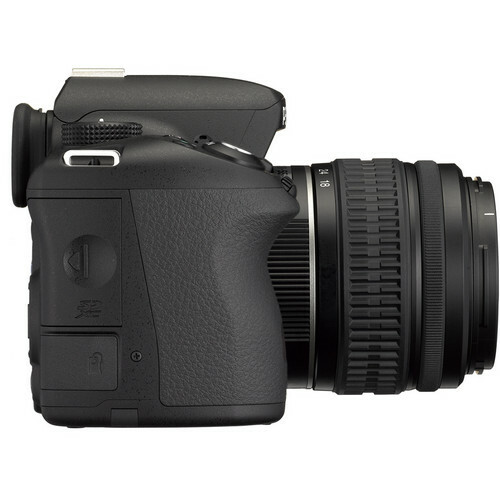 The SAFOX IXi+ autofocus system, ensures sharp, accurate focus quickly and smoothly. 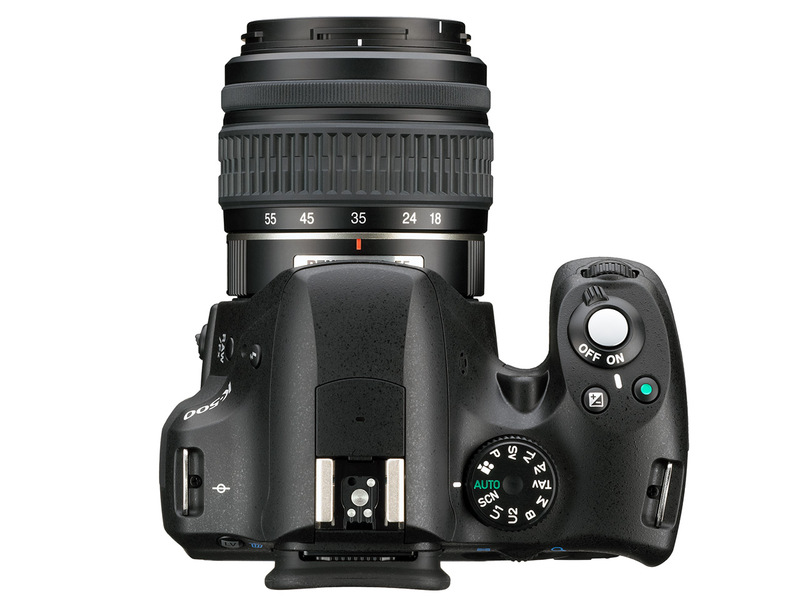 Additionally, in-camera sensor shift image stabilization, which reduces the camera shake by about three stops to ease working in low-light conditions or with longer focal length lenses. 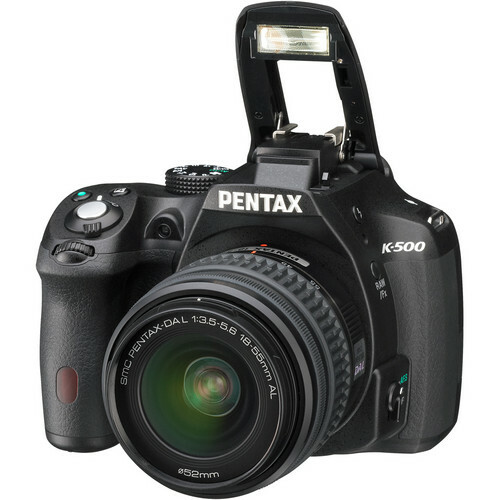 Pentax K-500 is housed within a polycarbonate-covered camera body that is supported by a stainless steel chassis. It is powered by four AA batteries as its power source when used in conjunction with the included D-BH109 AA Battery Holder .The optional D-LI109 lithium-ion battery pack can be used as a compact & rechargeable power source. 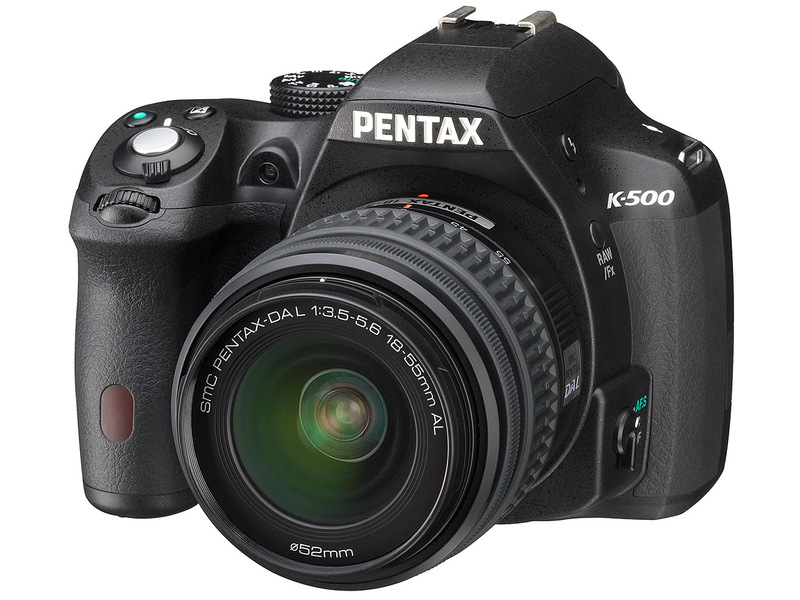 The K-500 DSLR will be available at retail outlets nationwide and online in July 2013 with a suggested retail price of $599.95 for the kit including the DA-L 18-55mm lens and $699.95 for the dual lens kit including the DA-L 18-55mm and DA-L 50-200mm lenses.